To celebrate the 9th annual World Rhino Day we’re offering incredible behind-the-scenes tours for guests to see our black rhino exhibit first hand! Zookeepers will guide you into the exhibit holding area and show you the work that goes into the care and preservation of these amazing animals. You might even get a chance to meet one of these rare and endangered rhinos up close! All proceeds from rhino barn tours go to the International Rhino Foundation. 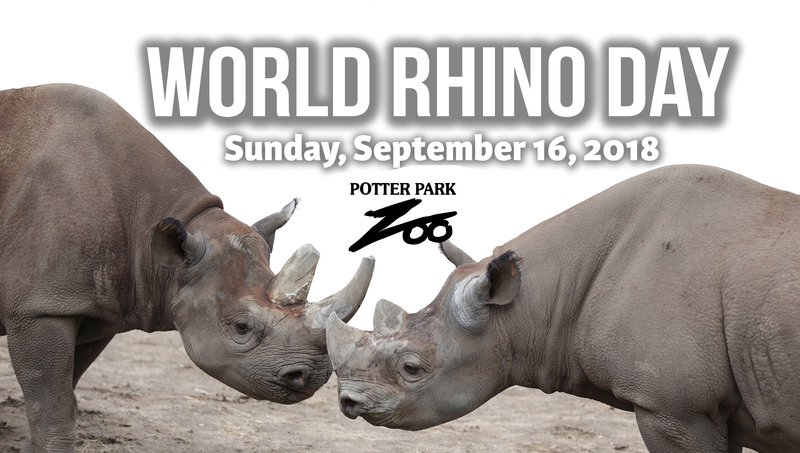 Help us celebrate with Doppsee and Phineus by learning about rhinos at conservation tables and play rhino themed games. You don’t want to miss this event! *Please note, zoo admission and parking are NOT included in this ticket price. Visitors will be responsible for those fees when they arrive at the zoo. We’re SOLD OUT! Check back next year to experience this incredible tour for a great cause!